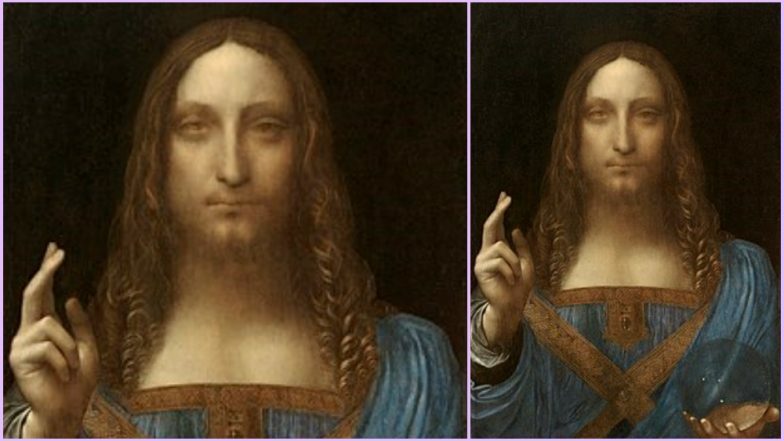 Portrayed as Jesus in Renaissance dress, making the sign of the cross with his right hand, while holding a clear crystal rock in his left hand, signalling his role as the Savior of the World, the Salvator Mundi might not have been painted by Leonardo da Vinci. The doubts over the most famous artwork came two years after it was sold at 450 million US dollars (approximately Rs. 3,112 crores) reportedly to Saudi Arabia's Crown Prince Mohammad bin Salman. Now, an art scholar, Ben Lewis claims that the iconic expensive piece could be a fake and worth less than $1,200 (approximately Rs. 83K). Leonardo da Vinci, the Apex of Human Genius Inspires us Even 566 Years Since his Birth. Vinci’s painting soared in value after it was included in the gallery’s blockbuster Leonardo show in 2011 and was described in the exhibition catalogue as an autograph work—an original which was executed without the help of Leonardo’s assistants. In his book, The Last Leonardo, Scholar Lewis argued that the National Gallery in London knowingly misled bidders prior to its sale, hiding that a panel of experts did not unanimously agree to the work to be authentic. He further claims that the five appraisers were split, two said the work was genuine, one said it was not, and two could not comment, the Times of London excerpted Lewis’s new book, which is slated to be out on April 18. David Hockney’s Painting ‘Portrait of an Artist (Pool With Two Figures)’ Sells for Record-Breaking $90 Million at Christie’s Auctions. In 2008 ruling, the value of the painting was $1,175, (over Rs. 81K) but it dramatically increased when it was included in the gallery’s 2011 blockbuster Leonardo show. Lewis’s revelations came in after the exhibition of Salvator Mundi was cancelled at the Louvre Abu Dhabi without an explanation. It remains nowhere to be found, and the museum is unable to locate it.